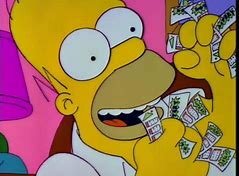 Steem Basic Income - Contest listing is back! We are thrilled to see so many members holding contests to decide who to sponsor into Steem Basic Income. Great job, everyone! Please try to think about your submissions and reward these great hosts with quality submissions. If you enjoy somebody’s contest format, check their feed for more, and follow them so that you don’t have to wait for our listing to come out! Each contest may have its own rules, so please read the contest post thoroughly before entering. If you want to see more contests before we mention them, check the #steembasicincome tag in Trending or New and see what's happening! We also have a contests channel in our new Discord server. Photo contest to meet the nature around you. This is like a photo scavenger hunt. Read the rules and go take some fun pictures! One of the longest running contests that you can win SBI from. Read the rules now to familiarize yourself and get your creative juices flowing, then finish the story to win SBI and SBD! 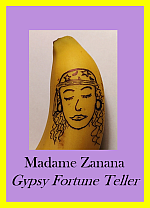 Get your fortune told by a banana. Two lucky winners will get SBI shares. Sort of a contest, sort of not? @fourth wants to sponsor three members, so drop by and let him know why he should pick you. Each voting round (twice daily- check their account transfers to see when the next round will open) one random user of @tipu’s upvote service will be sponsored for SBI. Check out their profile to learn more about their service. This is a daily contest to share photos of your canine pals. Check out the rules and then tell post about your furry friend. If I were a dolphin I would chase tuna. What would you do? Share an original post about what you would do if you had 10k SP. Here’s a fresh new format, so read the post carefully. @baa.steemit hand-picked a quality post and @dynamicsteemians want to reward the best comment on that post. Share some love with @badzkie123. Tell a short story on #zappl that follows the prompt. Weekly #zapfic contest- don’t miss out on SBI and SBD prizes! Share a comment about your favorite candy. Randomly selected winner. Promote your best post and potentially win. While you’re there, check out the comments for some other great posts others have promoted! Similar format as the previous. Promote your best post and potentially win. Give a full upvote while you’re there, and you can also get a full upvote back from @achim03. While you’re there, check out the comments for some other great posts others have promoted! Curate two beginning bloggers (below 50 reputation). Optional extra: feature your favorite steem tools (app, discord, program, or group). This is an awesome program, so definitely check it out! Lucky 13? Instead of trying to be thoroughly comprehensive (and then end up not publishing) like we have the last couple of times, we have only included the most recent 13 contests (skipping duplicates). If we missed yours, feel free to share it in the comments for our readers to find, and to stop by our Discord server to post it in the contests channel. The official currency for enrollment is STEEM. We are not currently accept SBD for enrollments. The current delay on enrollment processing is 3-4 days. Please read our recently published FAQ. Most questions are addressed in our FAQ or in the additional resources that it suggests. If you still have questions, ask in the comments section or join us in our discord channel. To review your share counts, we explain our tracking sheet here. 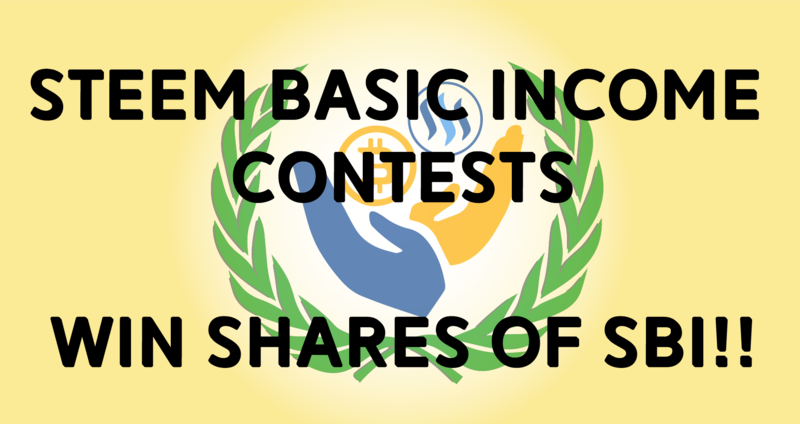 Just adding my new competition to the list: https://steemit.com/steembasicincome/@jk6276/my-second-steem-basic-income-contest . Thanks and keep up the great work SBI. Okey Dokey. I’ll be trying for some of this. You're welcome! It's a great initiative. I am also running a weekly free raffle for a @steembasicincome share, every Friday. when new contest will be start. You can check #steembasicincome where new contests are posted all the time. You don't have to wait for our list. Thank you for posting. I just joined in Discord today and am getting familiar with it all. I am very excited for these opportunities. So exciting to see so many SBI contests around. Thank you for the mention of my challenge! I'm working on a fresh data pull and your account will be moved out of inactive. For the record, we do hold a similar amount of your bitshares token, but we did not come post memes on your pages complaining about them leaving money on the table by going inactive for more than six weeks. We assume that just like we're making the appropriate decisions for our program, you're making the right decisions for yours. Supposed to be humorous, if you took offence I apologize. The TASKMANAGER token is about receiving votes, and @steembasicincome gets one from pretty much every TASKMANAGER related account, as well as any other unrelated accounts in our control. I personally have never been inactive for 6 weeks, and have been working away on other projects like #upfundme and increasing automation for everything TASKMANAGER related. This has reduced content output quite a bit. A retirement account that follows and votes those in the retired tab for when they wake up could be a wonderful idea. 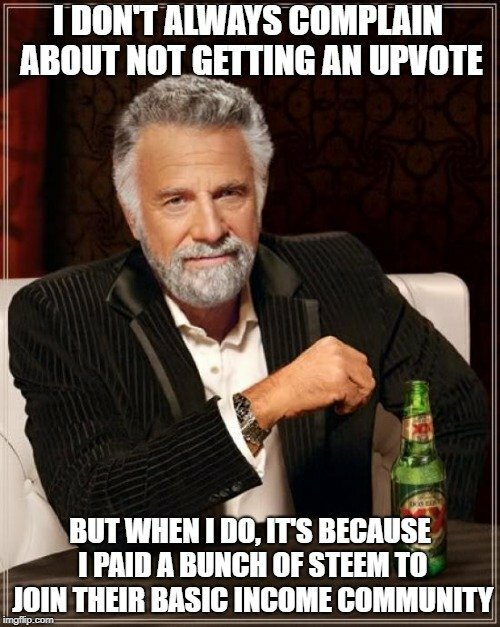 This would need little to no SP and should rarely vote... That way when someone wakes up from a nap or break they don't think @steembasicincome has forgotten about them. Owners of the TASKMANAGER token should confirm themselves by posting a comment on a recent TASKMANAGER post or comment. Thanks for mentioning our fortune-telling contest for free sbi!